1. Google Drive creates a folder in your computer , any data you will place in that folder automatically copied to your Google drive account and you can easily access it anytime anywhere in the world. 2. First 5 GB of storage is free, you can purchase addition space for $ 2.49 per month for 25 GB of extra storage, also, 100GB for $4.99/month or even 1TB for $49.99/month. 3.You can install Google Drive on any device like mobile devices, laptops or Macs. For Android mobiles, Google launched a app and it also announces an app for iOS devices like Apple iPhone or iPad. 4.Google docs is an inbuilt feature that will be included in Google Drive, you can save or work on any document in real time in Google Drive, any changes to file update the Google drive file automatically. 5. It also offers users to attach photo directly from Google drive to Google+, another way to promote Google+ by Google. 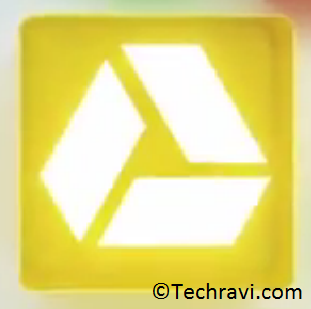 Google Drive is still unavailable to most of the users, they are slowly rolling out this feature. The Google Drive page says, "Your Google Drive is not ready yet." And when you click the 'Notify me' button beneath the message, it states: We'll email you at ******@gmail.com (your email address) when your Google Drive is ready.